Your personality and your passion make the difference. 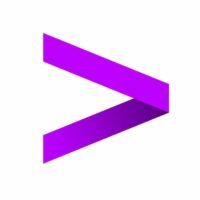 At Accenture we drive growth for our clients’ businesses and pave their way to digital transformation. Our team Operations helps clients to direct and improve business processes and infrastructures. Here you’ll give new impetus to our Recruitment Services Team. That’s exactly where your specialty is in? Then follow your passion and develop new ideas for successful recruiting strategies. We’ll count on your experience and your team spirit, that encourage delivery excellence.